When I first worked out with a TRX Suspension Trainer eight years ago, little did I know then, how much TRX would become a part of my life. And in some ways reaching a personal milestone at the TRX Trainer Summit in Baltimore last month still hasn’t quite sunk in. Being involved with TRX and using it as my primary training discipline has given me the fortune of crossing paths with many incredible people. 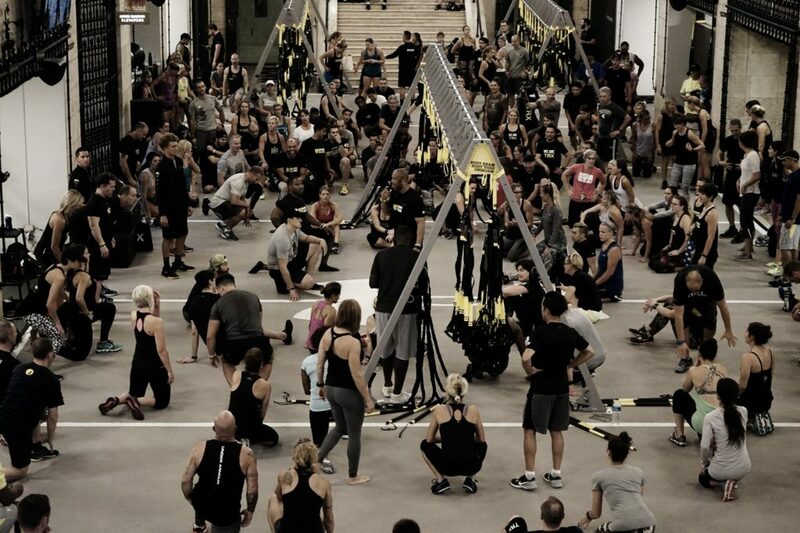 This includes some of the industry’s leading minds, educators, trainers, and clients from all walks, using TRX for mobility, fitness, and strength and conditioning. Attending the TRX Trainer Summit was an experience and a privilege. It’s not often you get the opportunity to meet the creator, as well other influential personalities behind such game—and for some life—changing products. Over the course of the weekend, trainers attended two Under Armour facilities: the famous Bank of America conversion on Light Street and the Under Armour Global HQ on the waterfront. 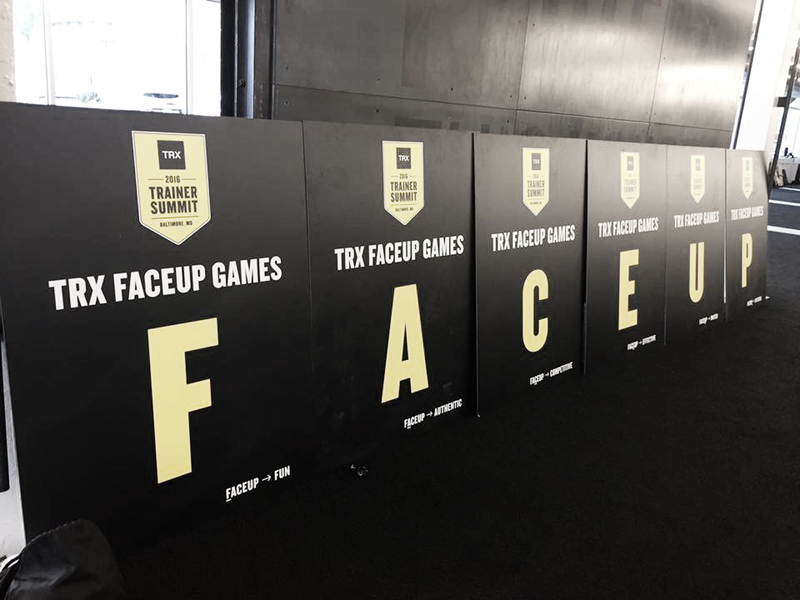 The Saturday morning of the Summit began with TRX founder Randy Hetrick welcoming the TRX family from all around the world. 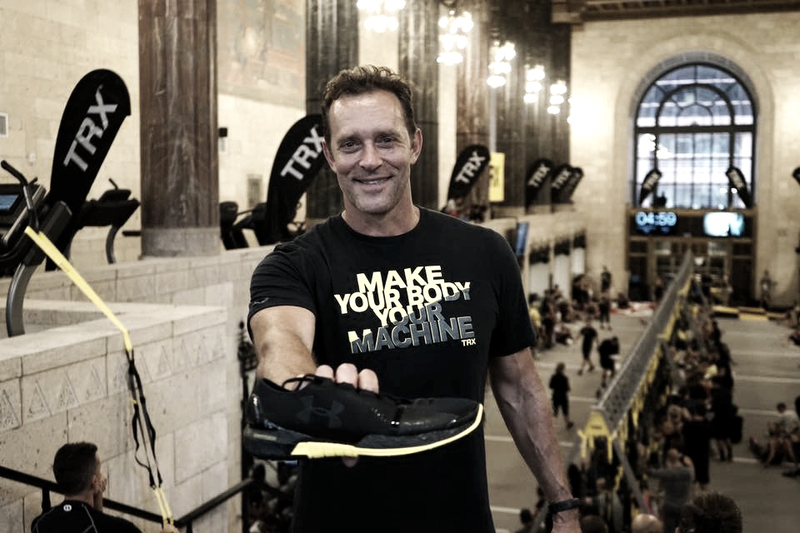 After introducing Doug Reed, Under Armour’s GM and SVP of Men’s Training, they announced the official partnership between TRX and Under Armour which had been 8 years in the making. In other exciting news TRX also announced the development of their range of functional training equipment (from kettlebells to medicine balls) as well as the launch of the UA TRX Speedform AMP Training Shoe. It’s a mouthful, but it’s a lot of shoe. Featuring the TRX yellow and black with embellishments, this is a great all round training shoe. It has an incredible grip and stability to take on the TRX straps and functional training sessions. When you’ve been running TRX Suspension Training sessions week in, week out, you see all manner of sports footwear. Not including the amount of footwear I have personally used during training. Our studio may be indoors, but good footwear makes an enormous difference, especially when it comes to grip and relying on sticking advanced or progressed positions in TRX. You want to be sure that you footwear will support you. After the pleasantries, heartrates were elevated with an ‘I Will 2.0’ Multi Modality Workout (or just plain insane ‘Fraser Quelch’ style). As always, starting with those foundation movements, then removing the base of stability (because of course, progressions aren’t enough). Also featured was the new TRX Duo Trainer with Pull up rounds (like you’ve never seen before), the TRX RIP Trainer which made regular lunges a serious want, and the TRX Heavy Ropes with alternate waves that felt like they were being performed under water. After a quick clean up and protein intake, we got down to business with a weekend of ‘ Cracking the Code.’ This was delivered by some of the industry’s leading minds. From ‘Movement Prep’, ‘Power and Explosiveness’, ‘Strength’, ‘Work Capacity’, ‘Reload’ and then the ‘Data Driven Athlete’, presented by Chris Frankel and Dan McDonogh. At Saturday evening’s dinner, Randy Hetrick once again took the stage and introduced two very good friends: Dr Chris Mohr who delivered a great talk on food awareness and choices, and Todd Durkin whose keynote was a crowd stopper. From his animated introduction, through to his thought-provoking, health-inspiring, life-changing hunger for better demonstrated exactly why he is a big part of Randy Hetrick’s life and the TRX family. The journey is short so ‘Get your mind right’ to get the most out of the day, to get the most out of your life, and to change peoples lives. ‘Be understood’ resonated throughout his time on stage. An unexpected highlight on Sunday was an up close and personal with Under Armour athlete and Olympic boxer Mikaela Mayers. She discussed the gruelling schedule of a professional athlete, recovery techniques and expectations of a country when you’re representing the red, white and blue. We often overlook the amount of work and preparation it takes just to get to a championship, whether it be a Worlds or the much coveted Olympics, because we only often see the end result. It also serves as a good reminder that regardless of how big or small your goals are, the discipline required to keep striving is something that is learned, because you would not succeed with motivation alone. We then closed the weekend with the ‘FACEUP’ Games. This event was developed and built on the TRX base principles to work collectively with your whole team. That is, to get everyone home regardless of what challenges you are faced with. It’s a bit of a shout-out to career and history of Randy Hetrick, and reasons that the TRX exists today. We all have strengths, weaknesses, and fears, but working together proves that we can overcome those obstacles. The TRX Trainer Summit was such a great, yet humbling event, to be amongst such amazing peers and share experiences. Not to mention the great minds behind TRX delivering content and reiterating the systems we use so we can effectively ‘coach better’. To give our clients the tools to build on, so they can L/Earn their better. The summit was challenging both physically and mentally, but reinforced why I choose to be part of the TRX family. For myself the standout was ‘Reloading’, and that, recovery is a destination. It’s a balance of completion, and part of a journey to prepare you for what’s to come, to be the best version of you. This is what drives me to be better, and to be able to give the best to our clients, everyday. I am sincerely honored being the Only ‘Officially Certified Master TRX Instructor in Australia and New Zealand,’ and driven to keep evolving, refining and working on the principles behind this challenging and effective functional training and exercise system. I look forward to the future of TRX and what it brings.